Losing the red horn and pitchfork for debonair skin, the titular entity roams our world with wealth and taste. Lucifer is a quirky, somewhat mischievous take on the fallen angel. It has many pop references, cool soundtracks and more importantly, a smooth convincing acting from the lead actor Tom Ellis. Far from menacing, Lucifer is a magnetic gentleman. He wears nice suits, talks in charming accent and is very manipulative. The way he is displayed here hinges a lot on persuasion. He oozes confident, able to affect others with ease but without being overly callous or arrogant. Tom Ellis just struts as though he embraces the characters, the confidence is nearly infectious. Production has all sort of nifty flair. Visual utilizes light tone, it gives more cinematic feel than most series, probably to portray the larger than life persona. Soundtracks are very good, the music is a mix of pop, rock and rap, which will resonate with audience in youthful fashion. Characters are pretty inviting, and it's not just about Lucifer himself. Supporting roles play good parts too, the female police looks sympathetic enough for long term strange partnership, almost in odd buddy cop gimmick. 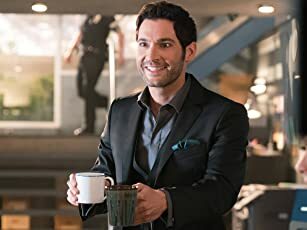 It leaves many possibilities for future episodes, maybe it ventures into case of the week or just expanding on how manipulative Lucifer can be without becoming too sinister for silver screen. 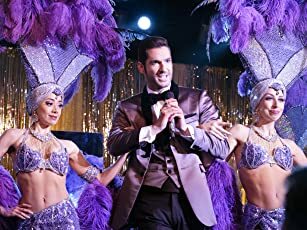 Not sure how long Lucifer will walk the TV or how he will maintain the nature of the series in the long run, but as far as introduction goes, it is done with great taste. 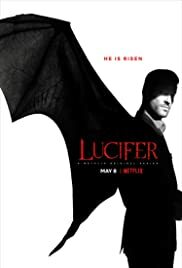 Fascinatingly classy and with a touch of devilry, please give Lucifer the courtesy of your viewing. 369 of 547 people found this review helpful. Was this review helpful to you?